Anyone who has ever lost a loved one knows the pain that comes with separation. The death of a friend or family member is difficult for adults to understand. For children, it can be a painful and bewildering experience. 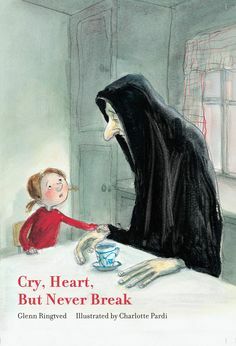 Cry, Heart, But Never Break, a picture book written by Glenn Ringtved and illustrated by Charlotte Pardi, attempts to explain death in a way that children will understand. The book tells the story of four children--Nels, Sonia, Kasper, and Leah--who realize their grandmother is dying when Death--the familiar black-cloaked, scythe-carrying figure--arrives for a visit. The children recognize him immediately and make a plan to thwart his agenda. Death’s compassionate response ultimately helps the children let go of their grandmother while holding on to the joy that she brought to their lives. I love how the illustrations juxtapose life and death. The children are drawn in bright red and yellow and blue, while death is somber in black and gray. 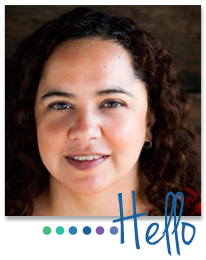 The story communicates the children’s fear, confusion, and grief in a gentle way. It affirms these emotions for kids who might be experiencing them for the first time. Cry, Heart, But Never Break can help families with young children not only say goodbye to a loved one, but also process the feelings that can seem overwhelming in such a situation.